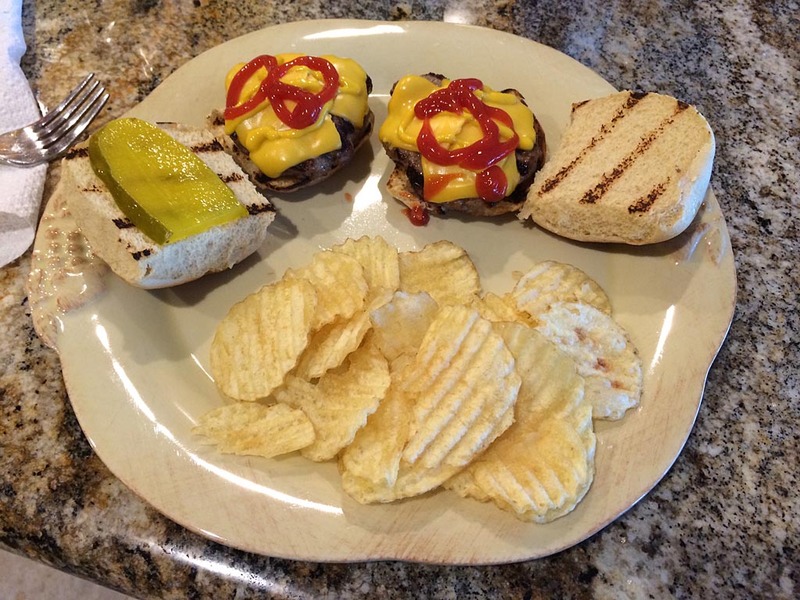 Hamburger sliders are so fun and so easy to make…once you have the right buns! First stop is the bread aisle at the supermarket. 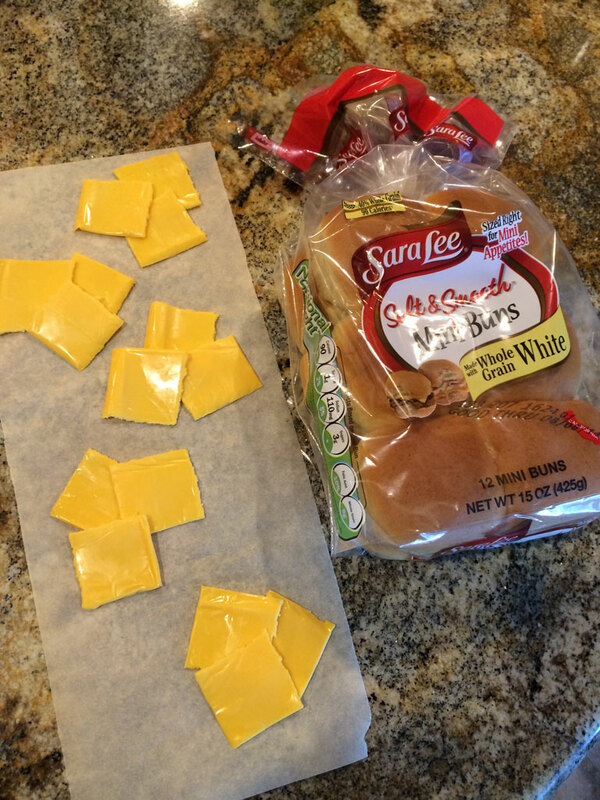 If you can find slider buns like Sara Lee Mini Buns, that’s perfect. If not, King’s Hawaiian or a similar small, soft dinner roll is a good alternative. 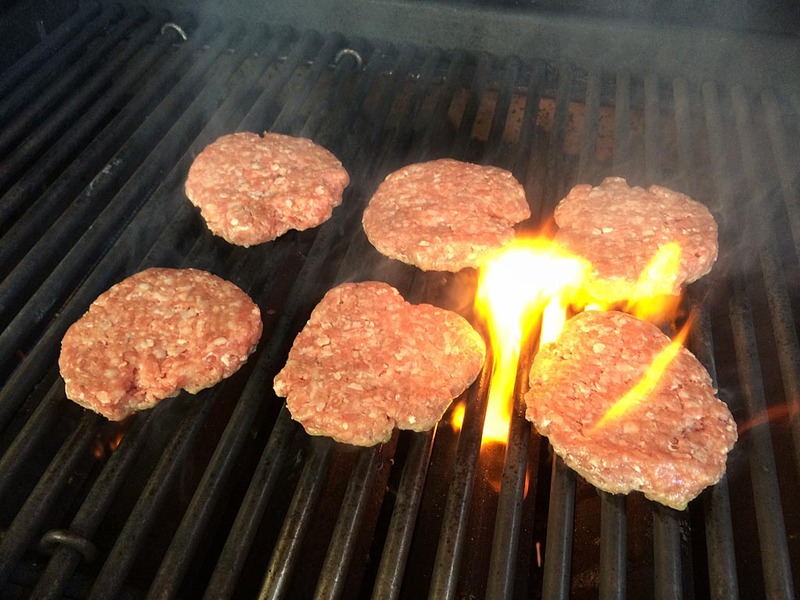 Once you’ve got the buns, it’s time for the beef! 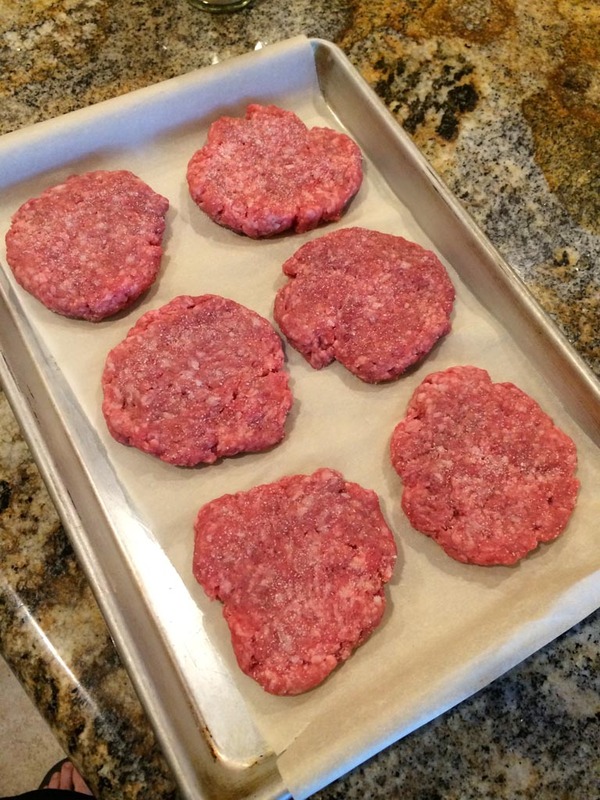 Buy a good quality ground beef, but not too lean so you get a nice, juicy slider. 80/20 or 85/15 lean to fat ratio is a good choice. I used Prather Ranch ground beef, something a friend turned me onto at the local Farmer’s Market. Too expensive for regular use, but a nice occasional treat and very good quality meat! Divide one pound of ground beef into 6 portions. If you have a kitchen scale (and you should) that’s about 2.75 ounces per slider. Form into patties of even thickness and season with kosher salt. For me, melty, gooey American cheese is a guilty pleasure on burgers. Use whatever cheese you like best, but since a slider is smaller than a regular burger, you’ll want to scale down the cheese portion, also. 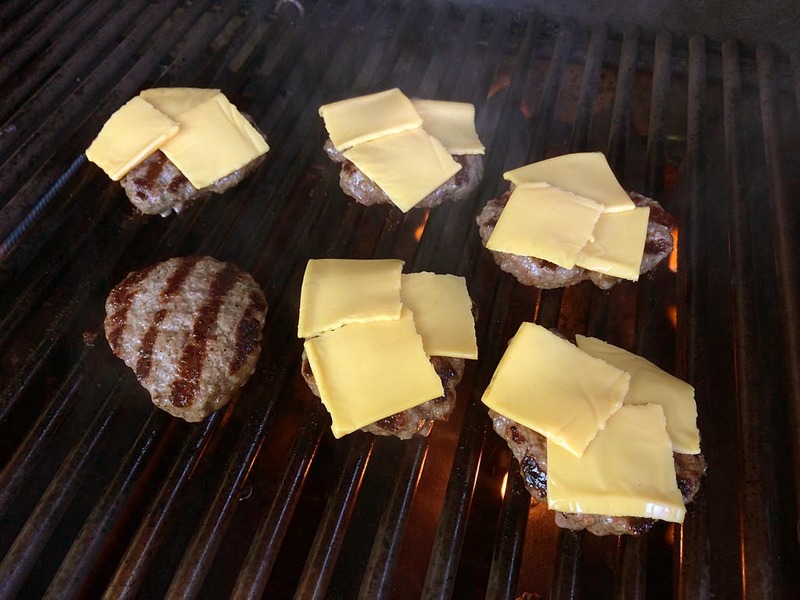 I tore American cheese slices into quarters and used three pieces per slider. Even that was a bit much, you can probably get away with just half a slice of cheese per slider. Preheat your Weber gas grill on HIGH, making sure the grates are clean. 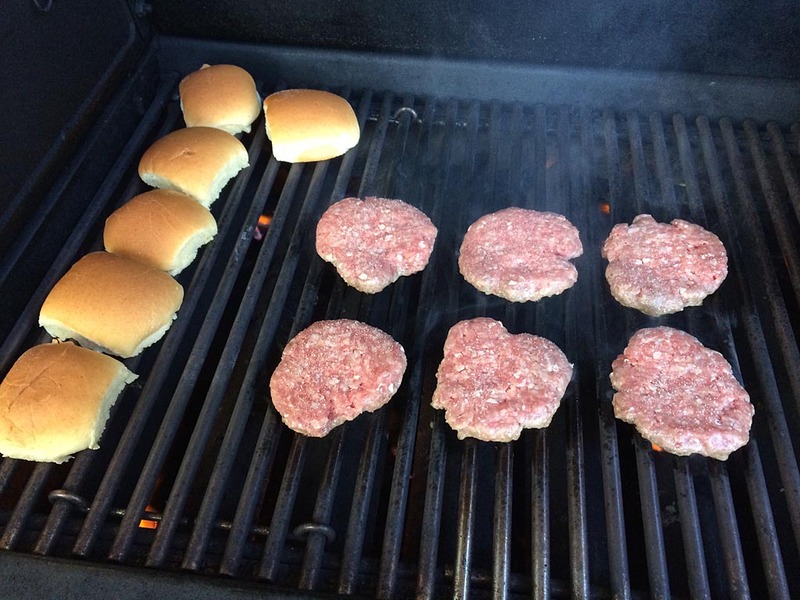 Once preheated, turn the burners down to MEDIUM and arrange the sliders on the grill. They cook quickly due to their small size, so watch them carefully. When the first side is done, flip and cook for just a minute or so before adding the cheese. Quickly toast the buns and you’re ready for some slider deliciousness!